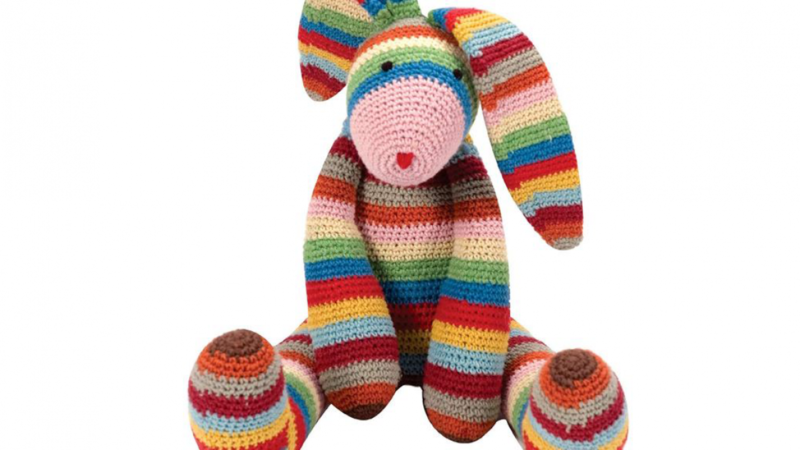 This beautiful hand crocheted rainbow bunny is sure to be adored by any adult or child. Stuffed toys are often only given to children. Adults love them too though because they can be a lovely decorative item. The beautiful rainbow colors used make this a bright and interesting toy. This is a wonderful gift for a toddler because young children are often attracted to bright colors. Any child will love those big floppy ears they are just so cute! The bunny measures 6.25 inches x 3.87 inches x 18.5 inches. It is the perfect size to adorn your bed or lounging chair. You will find that it is small enough for a child to carry and big enough to give great cuddles. Young children often have a special bedtime toy and this bunny is perfect for that. This bunny is great for almost any child or adult because it is recommended for anyone over the age of three. A wonderful gift idea for a birthday or any other occasion. 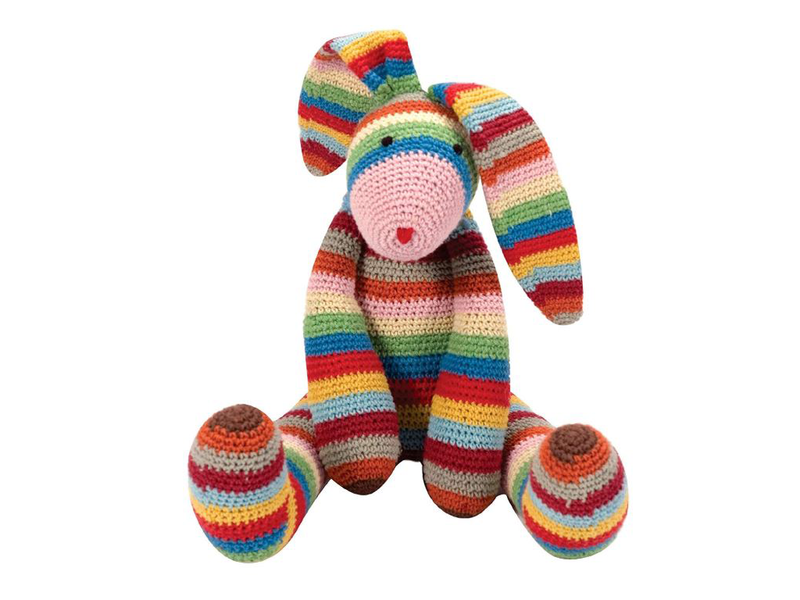 You can give this bunny as a get well gift because it is so bright and cheery. It is sure to lift the spirits of a loved one that is ill. Give with a get well card and a bunch of flowers for an adult to make a super special gift. This is also a wonderful gift idea for Easter or Christmas.